When John B. Dimmer talks, people listen. Mr. Dimmer is the managing member in a Tacoma, Washington-based private investment company, FIRS Management LLC. 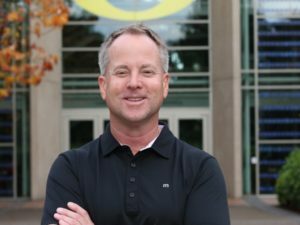 His community service includes the Business Advisory Council for the Lundquist College of Business at the University of Oregon and he serves as the Entrepreneur on Campus at the school’s Business Center for Entrepreneurship. At FIRS, he’s invested in projects for the last nine years with his father, John C. Dimmer, who is also well-regarded. He has served as a director at KeyCorp, Multicare Health System, Stellar Industrial Supply Company, and others. He’s also a Trustee for the Museum of Flight, and a member of the Advisory Board for the University of Washington Tacoma. The younger Dimmer is also a co-founder of the Tacoma Angel Network, www.tacomaangelnetwork.com, a non-profit organization that brings together accredited investors with companies seeking to raise private equity capital. Mr. Dimmer had a rich background prior to FIRS. He was a director of two technology companies and was president of Free Range Media, a successful internet company. Right out of college and armed with a B.S. in Finance from the University of Oregon, Dimmer began learning his craft at Puget Sound Bank, which included consumer lending and credit collection. Today, as a scratch golfer, he plans his putts like intricate business deals. But his passion is racing. 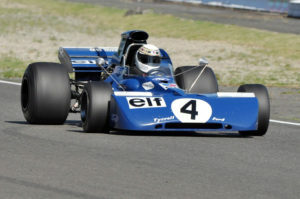 The circuit’s vintage 1966-1983 models reach 200 miles per hour, www.historicgrandprix.com/home.htm. So Mr. Dimmer, married with three children, is an interesting businessperson. Q: What business philosophies drive you? A: I’ve always believed that if you want something badly enough, with hard work and commitment you can achieve your objective. I believe that integrity is everything. You must be honest and deal fairly with your customers as they are your lifeblood. You must also be honest and deal fairly with your employees. If you try to spin certain situations your employees will immediately recognize it and you will slowly erode their trust and thus lose your ability to lead. We get involved with a lot of different activities at FIRS, but the overriding requirement is that it has got to be fun. Q: What’s been the key to success for you? A: Hmm, well, I certainly feel that I’ve worked hard, and I also feel that I’ve been lucky. I really think the key, however, is that I have always had an objective and a plan for meeting that objective. It is very difficult to achieve success when you don’t know where you are going, or know where you want to be but don’t have any idea how to get there. Q: What, if any, are your favorite business quotes? A: My favorite quote actually comes from a fortune cookie I got at lunch one day when I was deep in the throes of trying to build Free Range Media into a successful business. It said, “The greatest joy in life is doing what others say you cannot do.” I am a very competitive person and like it when people underestimate my capabilities. Proving them wrong is such fun! Q: What were your family’s underwater ventures involving the salvaging of historic shipwrecks? A: The short version is that my dad got involved in funding a treasure hunting expedition off the coast of Uruguay. After a few years of operations, with little in the way of results, my dad asked me to go check everything out. I can promise you that there was more than enough sunken treasure to make a salver very, very wealthy. Unfortunately, Uruguay would not let us export our recoveries. Without the ability to export and sell the recoveries, we had no way to make a return on our investment or fund future operations. So I shut the whole thing down. We had a salvage vessel that was specifically built for our operation that we were returning to the U.S. for sale. During the return voyage, it ran into a hurricane off the coast of Columbia. The bad news is that the vessel sank (no loss of life in the sinking). The good news is that we had it insured for twice the value, so we almost recovered all of the money we put into the whole operation. In terms of what was accomplished, our operation discovered the wreck of the Agamemnon in Maldonado Bay in Punta del Este, Uruguay. The Agamemnon was Lord Nelson’s first ship-of-the-line command, and participated in the Battle of Trafalgar. We recovered a cannon that has been documented as the only cannon known to be in existence that was fired at the Battle of Trafalgar. Needless to say, the British were very interested in acquiring the cannon. Unfortunately, given Uruguay’s refusal to allow us to export the cannon, it is sitting in some warehouse in Montevideo. Q: How did you get involved in racing? A: I first became involved as a result of the Tacoma Grand Prix held in 1986. I met a driver by the name of Parker Johnstone, and we became friends. I was interested in driving cars, and he helped me navigate the requirements for licensing. Q: Who is your car-dealer partner in Oregon? A: My partner in the Honda dealership is Parker Johnstone, which is probably a good thing since the dealership is called, ‘Parker Johnstone’s Wilsonville Honda!’ Parker and I have continued to remain good friends since that chance meeting at the 1986 Tacoma Grand Prix. Parker went on to have a very successful professional racing career with Honda during which time I was his business manager. He is an individual of the highest moral character, and is doing a terrific job of running the dealership. Q: What do you read or what are your favorite sources of information? A: I spend a bit of time surfing the web, and pick up quite a bit of information there. I subscribe to BusinessWeek and The Wall Street Journal. And I talk to a lot of folks. I enjoy getting different people’s insights into companies and opportunities.